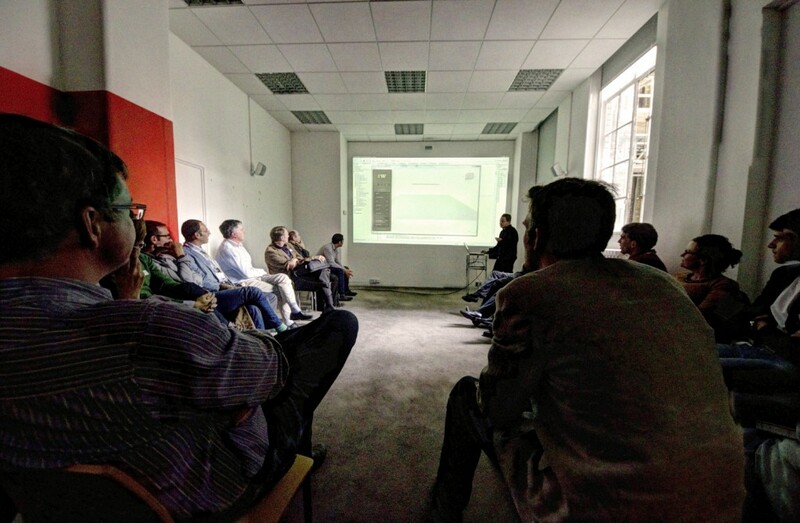 A big thank you to everyone who attended our inaugural Expedition Workshed Developer Conference last Friday. It was a chance for twenty of our most enthusiastic supporters from universities around the country to meet each other and to tell us what they think about the site. Representatives came from universities around the country, including Bath, Brighton, Coventry, Edinburgh, East Anglia, Imperial, and UCL as well as two international visitors from the University of Limerick and Cyprus University of Technology. In the first part of the session we heard stories about how Workshed is being used by teaching staff at different universities. We speculated about who users might be at universities around the world. We heard individuals’ very creative suggestions for how the tools on Workshed could be integrated into their teaching. In the second part of the session, Push Me Pull Me programmers Gennaro Senatore, Daniel Piker and Charlie Banthorpe previewed the latest version of Push Me Pull Me 3D, which is due to go live next year. But perhaps most importantly, the event gave participants the chance to meet each other to discuss ideas. There was unanimous support in the room for setting up an online Workshed user group, which would test new material on the site, and we look forward to this process spawning new collaborations in the months to come. Here’s to the new academic year and all it brings. Hip hip: hooray.